Right then! This morning we passed the magical 50,000 page views mark, thanks to Evman and his wonderful SAGA Scots. Plus of course all our wonderful blogosphere friends who pop by from time to time and whose companionship, comments and enthusiasm we absolutely cherish. This can of course only mean one thing... it's gratuitous blog whoring giveaway time! We've all been here before so I'll keep it quick. The giveaway starts NOW and runs for one week. Commenting on this post gets a chance in the prize draw. Just the one mind you, no spamming! Pimping our blog on your own (and providing proof in your comment) gets you an extra chance. If you are also a new follower from today onwards you get another chance in the prize draw. Please remember when you comment to indicate WHICH prize you'd like to go into the draw to win. And that brings me to... the prizes. A wonderful tome which I've treasured for a looong time - an ex-libris copy of Don Featherstone's Wargame Campaigns. 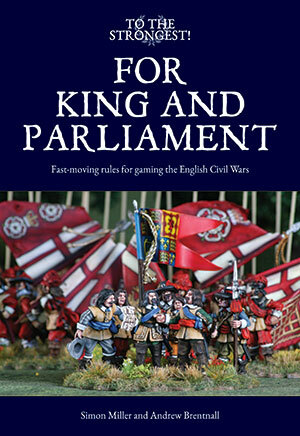 A cracking book, especially if you are a bit of an old-skool wargaming aficionado like myself. Given the age it's not in perfect nick but then neither am I and nobody is suggesting I'm fit for the scrap heap quite yet. 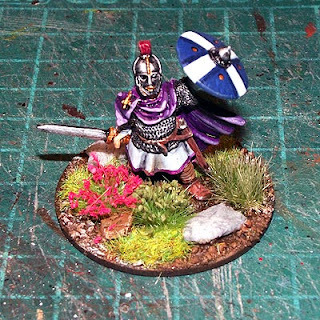 One fully panted and based Anglo-Saxon warlord for SAGA (or whatever else you care to use him for). He's sporting a rather fetching purple cloak and wearing a Sutton-Hoo style helmet. I can't remember the manufacturer unfortunately but its lovely sculpt and hopefully my efforts have done him justice. One zip lock bag of unpainted lead. 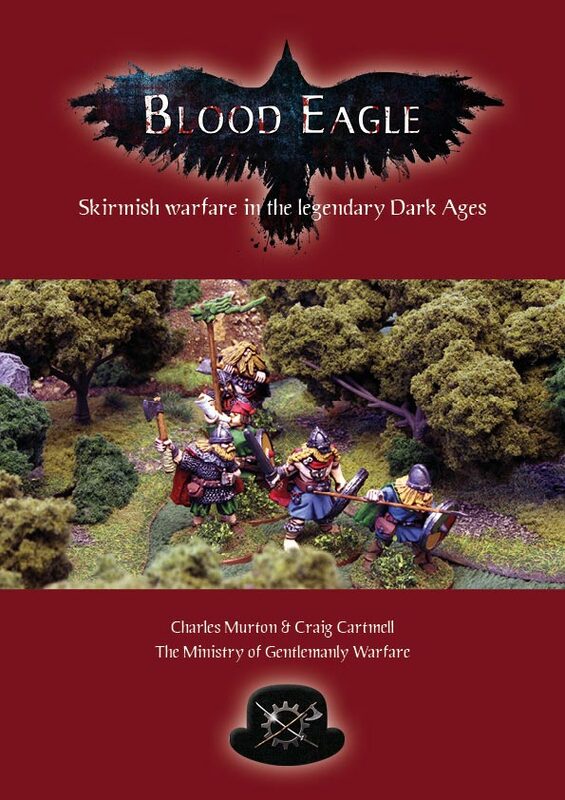 It contains approximately a dozen Harlequin Miniatures 28mm archers, including three very nice fantasy ranger types and a bunch of generic medieval/fantasy bowmen. No pic of these unfortunately. So that's it. The giveaway is off and running. Get commenting! PS. Thanks everyone for helping us reach a milestone and we hope you'll continue to support the blog! Count me in for #3 please. I'll pimp the contest on a post tomorrow and come back with the link. Thanks Anne. #3 it is. Congrats on the milestone and add my name to the draw for #1 please. Thanks András. #1 for you. Congrats on the number of hits. Put me down for prezzy no. 2 please. Cheers Matt. #2? Too easy. Congratulations on the hits, I would like to enter for #2 please. I will return with a link later. Nice one Andrew. #2 it is mate. Thanks Dean. No prize mate? Put me down for No.2 as well! Righto Fran, #2 and thanks! Nice blog. Congratulations on the milestone, well done. Please enter me for the second prize, I'm a new follower. Welcome aboard Mike. #2 it is. Very many congratulations Sir a fabulous milestone, although I have no doubt that there will be many more to come! In a bid to further enhance my woeful lack of knowledge, I like to be considered for the Featherstone book please. Cheers Michael. Featherstone huh? You won't regret it! Hi,and congrats! I found this from the Depressive Diplomatist. I'll promote yours in a post later this week,so I'll come back to tell of that later. I've always liked 'grab bags' so I'll shoot for #3, Congrats again! 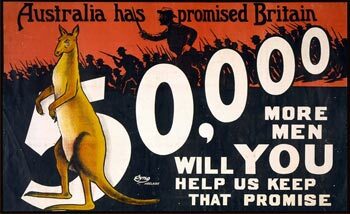 G'day Ferret and welcome aboard. #3 it is. Congratulations on the milestone. It's quite an achievement. Please put me down for number 2. Thanks. Hi Aaron. It's a start anyway! #2 locked in. Congrats for the hits. Yeah number 2 I think. Awesome looking figure and an excellent paint job and base. Thanks mate. I hope he doesn't disappoint if you win! Congrats on the 50k!!!!! Put me down for the the Featherstone book please!!! Thanks Ray. Another for Featherstone? Check! Congrats on the 50K!!!! Millsy. I still have a way to go yet to mine. Count me in, number 3 i recon. #3 for Kev. Got it and many thanks! 50K and counting...nicely done! I know I'm all the way across the ocean but I'd love to have a chance at #3. I'm just as far from you as you are from me mate. That's why I love the blogging. We can share stuff that we never could before the interwebs. #3 it is. Congrats on the milestone. Prize 2 is very nice. Thanks Chris. I'll mark you down for #2. #1? Gotta love a man who wants to read The Don. Greetings. Congratulations on achieving 50k views. Count me in as a new follower and interested in Prize No 1. Welcome aboard Robert! #1 it is for you. Congrats, I'm in for number three and consider your blog followed! Welcome aboard sir. You're down for #3. Welcome aboard Justin. Nice blog you have there mate! Thanks for the plug and consider yourself squared away for the Featherstone draw. Congrats Millsy on achieving the 50k !! Thanks Rodger. Not interested in the draw mate? Congratulations!! New follower here, now watering my mouth with that saxon miniature! Welcome aboard Emilio! Thanks for the congrats and also the plug. I've marked you down for prize #2 in the draw. Hi Millsy, I'm back from the South Coast... wow, you've been busy! Welcome to all our new followers! Hi there, just found your blog, I'd like to enter for number 3 please. Welcome aboard! #3 it is mate. Congratulations on 50K page views! Well done. 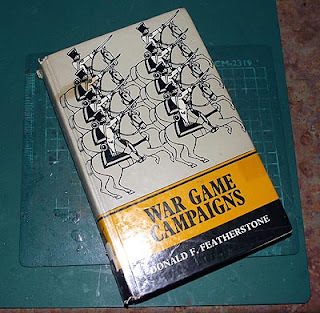 Don Featherstone's book "Wargame Campaigns" looks really interesting! Thanks mate. It's one of my all time favourites. I'll add you to the list for #1 Karl. Haha. #3 it is! Nice idea and thanks for the congrats Tamsin.